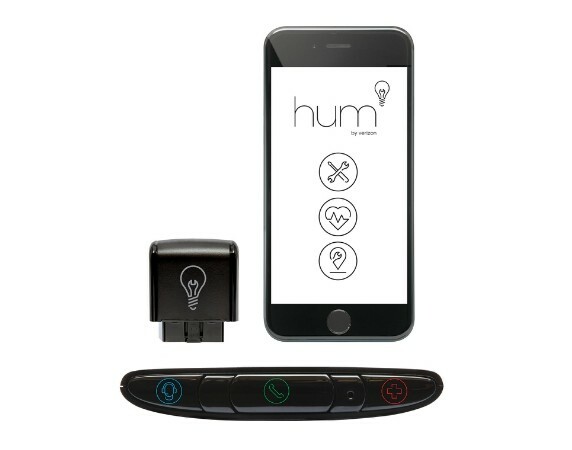 Verizon’s OnStar and AAA competitor “hum” has hit the market, offering drivers a chance for help during a breakdown or crash — but not “steering” — and actively scanning the vehicle for diagnostic codes. The hum technology, which was once called Verizon Vehicle but apparently now is too cool for proper capitalization, is available to all drivers regardless of cellphone provider. It’ll cost $14.99 a month for a two-year subscription, according to Verizon. “At the simple press of a button, drivers receive diagnostic information, pinpoint roadside assistance and live consultation with ASE-certified mechanics and emergency personnel on-demand,” Verizon wrote in a news release. 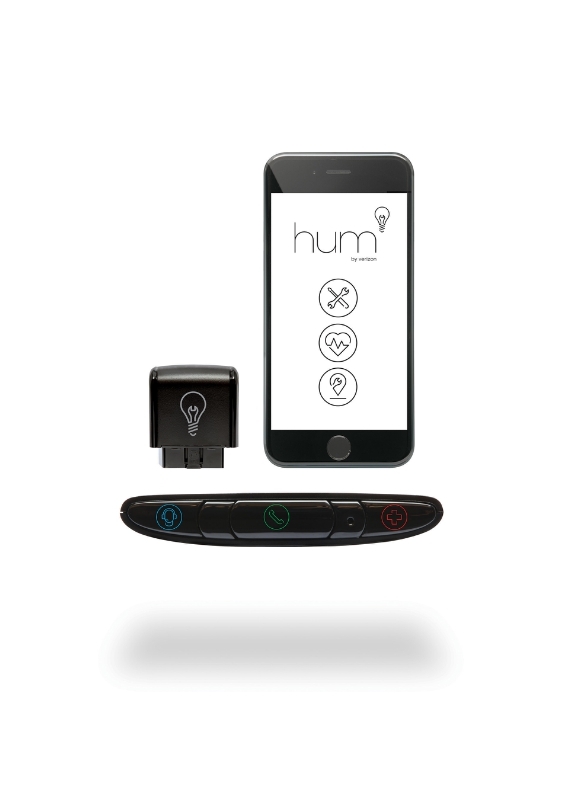 Hum involves both a reader in the vehicle’s onboard diagnostic port and a device attached to a visor; there’s also a smartphone app. Verizon says it will work with 150 million vehicles in the U.S. fleet today. Connected car technology has the potential to shake up collision repair should customer service agents contacted through the devices “steer” customers to particular mechanics or collision repairers. Mike Anderson of Collision Advice has hypothesized an “OnStar on steroids” scenario wherein an OEM recommends via a connected car that a driver looking for vehicle service use a certified shop, and there’s no reason why an insurer couldn’t theoretically do the same for a direct repair network. However, neither of these are Verizon’s plan for hum. Verizon spokeswoman Marie McGehee wrote in an email that the service’s call center will contact emergency services if a driver is unresponsive. If the driver is available, hum staff would interact with them and call for roadside assistance or emergency services if requested — but nothing else. “The call center would not contact the driver’s insurer or automaker itself,” she wrote. Hum also has the capability to scan diagnostic trouble codes, another interesting development depending on how deep that ability can go — which seems to be pretty far indeed. “Regarding DTCs, the OBD reader in the hum service is able to scan most DTCs in hum compatible vehicles that are available to most mechanics,” McGehee wrote. With Verizon’s technology checking up on the work, repairers and service technicians could be embarrassed if they haven’t addressed all issues signaled by DTCs — not just the ones indicated by dashboard lights or the ones which aren’t disputed by an adjuster. If you’re going to SEMA and want to learn more about the technology discussed here, check out “Tech Crunch –The Role of Programming and Diagnostics in Post-Repair Road Worthiness” at the OEM Summit “Advanced Automotive Technology” session as part of SCRS’ Repairer Driven Education series. Register here. Finding out where you parked: The app in conjunction with the hum GPS technology will tell you, and it can also let you know how much time is left on the meter. Hotline: You can use hum to speak to an ASE certified mechanic. Tracking of battery, coolant and alternator status: McGehee wrote that this can be done in “near real-time” and give drivers alerts to issues. Discounts: In another blow to AAA, hum will give drivers deals on maintenance, hotels and car rentals. 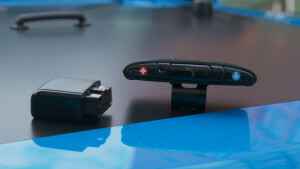 It’ll also be interesting to see how this and other similar services will work when an insurer or other service provider also wants to use the OBD port for their own technology. Would a Snapshot driver be precluded from hum? Will drivers have to use some sort of third party-developed splitter?